Tim Coghlan looks back 10 years to the time he met an extraordinary woman who is now the subject of a fascinating book. I MET Olga Kevelos – the subject of Colin Turbett’s biography Playing with the Boys – for the one and only time in September 2008 when she attended the unveiling of a plaque to the Idle Women at the Museum at Stoke Bruerne during the first Stoke Bruerne At War event. Olga was 85 and seemed in good health, whereas two of the other three attending, Sonia Rolt and Emma Smith were a bit older, and in Emma’s case, certainly a bit frailer. It was the briefest of encounters at that. Olga and I only exchanged a few words when I asked her to pose for a photograph (below, left) with Sonia Rolt on the stern of a nearby moored narrowboat. At that time, I knew almost nothing about what transpired to be a remarkably amazing woman – in the best traditions of the Idle Women – whereas I knew quite a bit about Sonia Rolt and Emma Smith. Olga did not live that far away at Kings Sutton near the canal at Banbury where, for many years until her retirement in the 1990s, she and her Oxford-educated brother Ray had run a pub, The Three Tuns. I made a mental note to go and interview her for a magazine article but in the spring of 2009, she died rather suddenly. I couldn’t make the funeral but her close friend, who had written her eulogy, kindly supplied me with a copy and there it all was. Besides her time on the canals, in the postwar years she had taken up motorcycle racing, as that was all her boyfriend did in his spare time. She proved a natural and very quickly became one of the greatest exponents of all time – competing head for head with the boys, hence this book’s title. And she did this right on into the 1960s, when she was in her forties. Then years later, with her brilliant brain she made the quarter-finals of Mastermind. 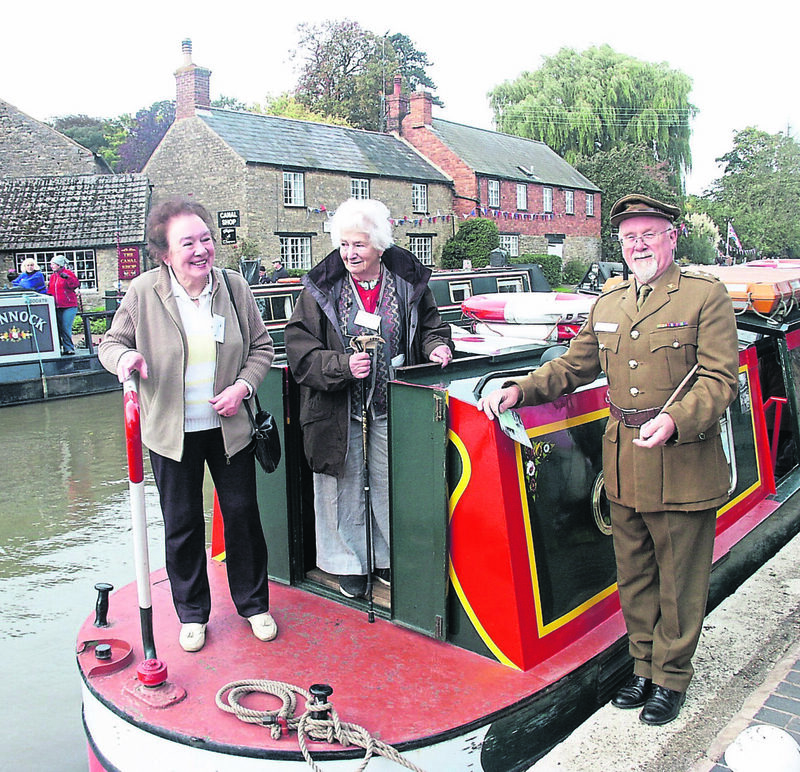 When I came to write my obituary for Olga, I was surprised at how much information I was able to obtain, and the piece made a two-part series, entitled Olga’s Boat Song, which now is included on the Braunston Marina website collection of articles I have written – my piece of course concentrating on Olga’s canal years. A few years ago I was contacted by Colin Turbett, who was working on a book about Olga’s life and had seen my two-part article. I happily passed to him all I knew, and said he was free to help himself. Colin was mainly interested in Olga’s motorcycling days, but he was able to obtain a lot more information than I did about Olga’s canal years, and all of this is in this fascinating book – including a short ghost story in the Blisworth Tunnel that Olga published in the Kings Sutton newsletter. We had many good chats as the book took life, with the excitement of new finds – though to date, no photograph of Olga has emerged from her Idle Women days. Olga was a little prone to exaggeration, which Colin’s meticulous research reveals. She claimed that she had come to the canals in the summer of 1943. 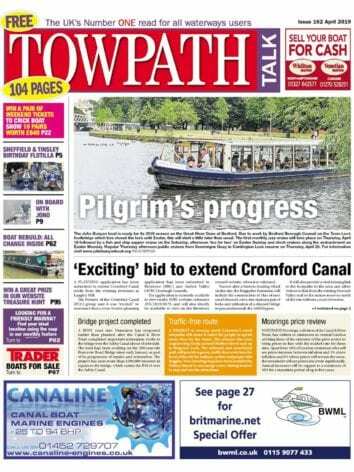 From her brother’s diaries that Colin managed to obtain, he has now proved that it was not until the late summer of 1944 – so she was on the canals for less than a year. In this exaggeration, she was not alone. 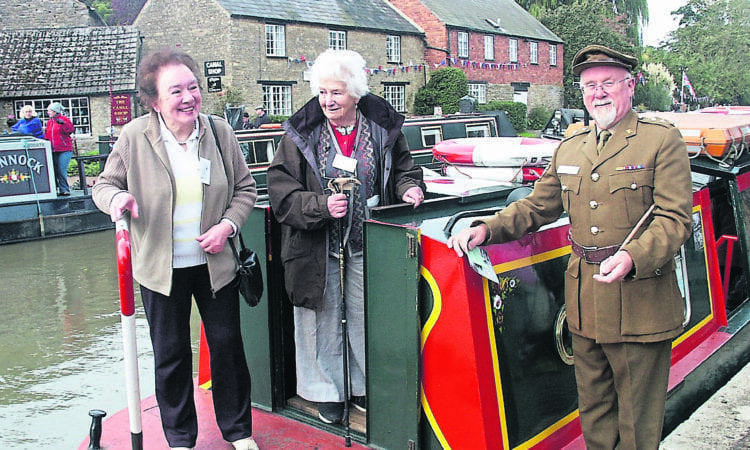 Following Sonia Rolt’s death, her wartime diaries have emerged, which show that she started on the canals in the spring of 1944, whereas she had always claimed it was a year earlier. But there is still far more of a life achieved here than that of many a mere mortal, and Colin has made a great well-illustrated book of it. 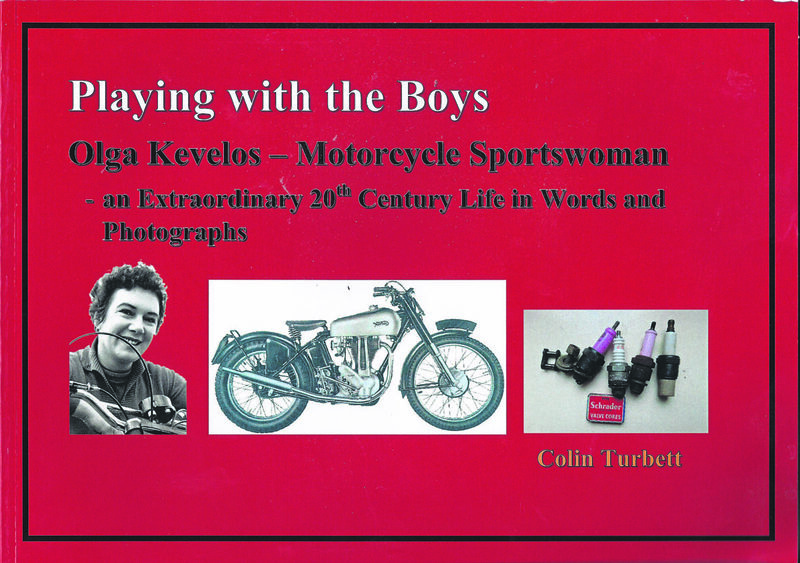 Playing with the Boys: Olga Kevelos – Motorcycle Sportswoman – an Extraordinary 20th Century Life in Words and Photographs is available online or from Braunston Marina shop for £19.95.